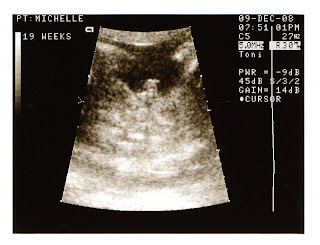 And if you pay particular attention to the picture in the middle ( taken from the bottom up ;) and you'll see as our midwife told us with a little chuckle..." ...girls don't have these parts. " And wow, is he ever cute? Little Jack, little Jack, we just thought that you should know. PS- Did I mention how handsome he is?! oh, chelle! congratulations! this is the sweetest sweetest thing. i have goosebumps. blessings on your dear baby boy. your dearest little jack dawson. your day must have been complete bliss. as I told you before..
he is Amazing, but that song, made me cry.. its ever so sweet! Can't wait to meet this little handsome fellow of yours! aww....bless your little family. what fun news. Congratulations on a little boy to love and cherish! Give Ms Annabelle Lucy a big kiss and hug of sister congradulants from us and we love you so dearly Chelle! OH CHELLE!!! My heart just felt SO happy for you when I read this. What an awesome post! but you already knew he was a boy, huh?!?! He has already stolen our hearts, this little Jack Dawson. I would be happy to share my birthday with him! oh so many many congrats!! its a boy a precious baby boy who will have one of my most favorite boy names...a darling boy!!! so so over the moon excited for you!!!!!! Congratulations! How absolutely exciting for you all. Jack Dawson is a lovely name by the way! He is just a doll!! I wonder if he will have so-blond-they're-almost-white curls like his Daddy did! Chelle, it just doesn't get any better than this, does it?! Congratulations!! oh chelle...congrats! how sweet...and i LOVE the way the midwife put it, "little girls don't have these parts". simply precious! So loved, are you, Little Jack Dawson! As are you, Chelle, Annabelle Lucy, and David! I know it is no secret to you that we are so thrilled to hear that this baby is indeed "Jack"- I have always felt in my heart that you were having a little boy :) But I just wanted to say hello and tell you again that we are so so excited for you guys and cannot wait to meet your little man! Yay!And oh, my goodness, that song is so sweet + Annabelle is going to be such an amazing big sister! How very sweet - your own little precious boy. So many blessings and congratulations!! Oh Yeah for you! How exciting..I'm so glad the little man cooperated and showed himself! 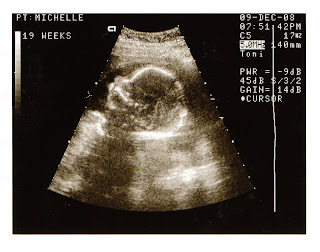 We just got back to town today and I am looking forward to my ultrasound tomorrow morning. 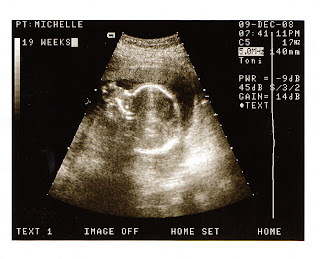 Like I mentioned, I am convinced we are having another boy but we will see! So fun when you know and can start calling them by their name! I love Jack Dawson too...sounds like a little boy in a storybook! Congrats!